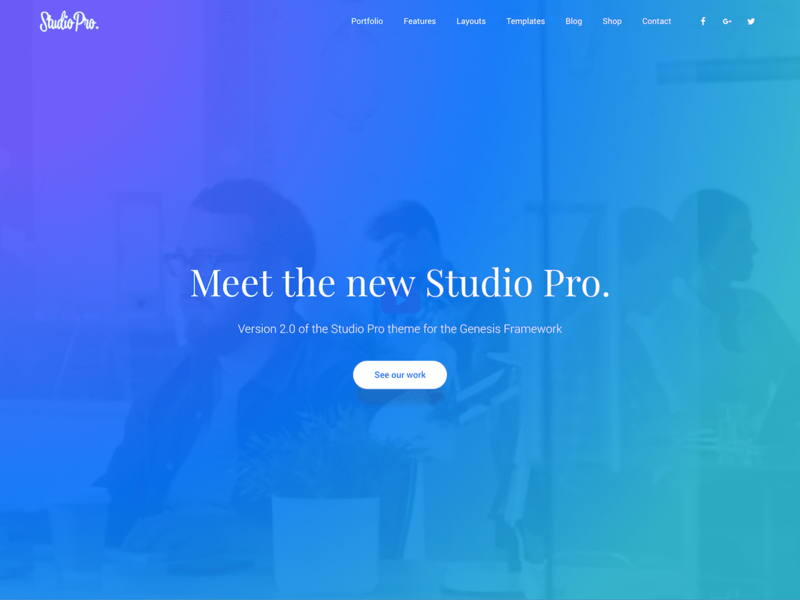 Studio Pro is a slick & colorful theme for creative agencies. 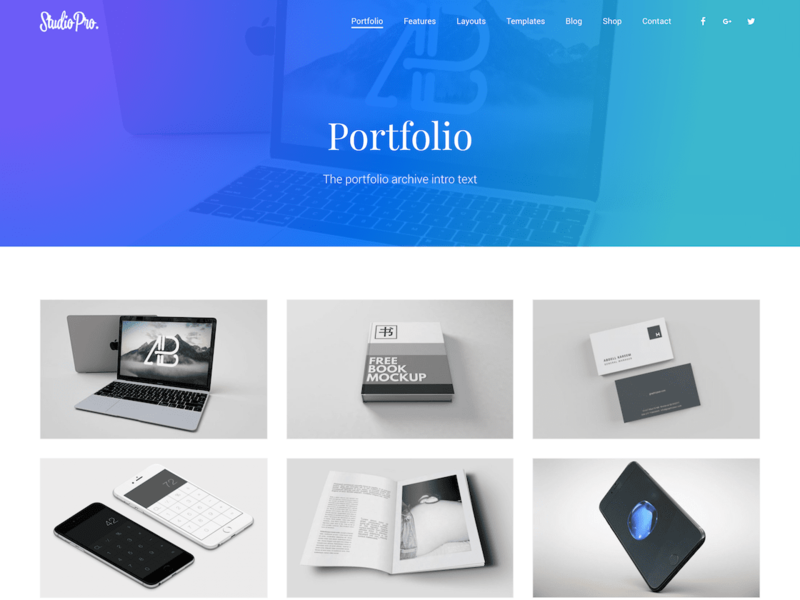 It features stunning background videos and colorful gradient overlays for a truly unique design. 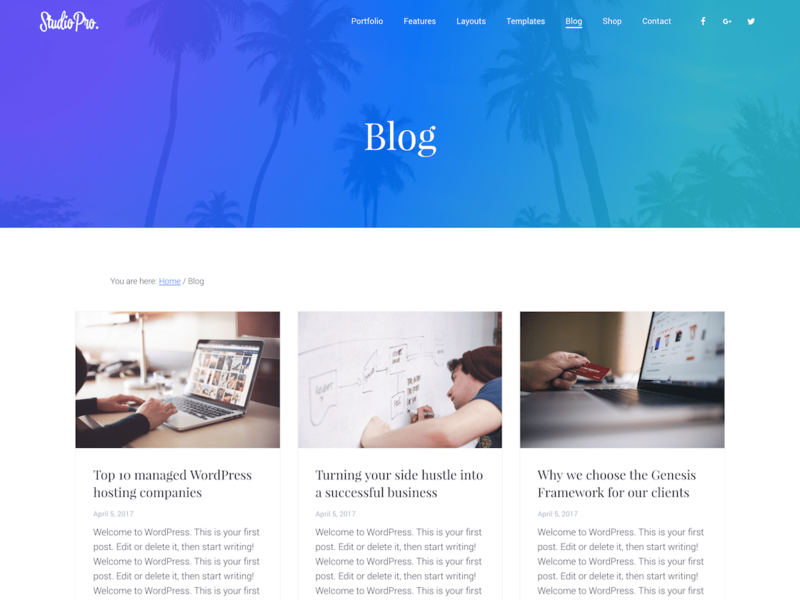 Including infinite layout possibilities, color schemes, Google Fonts and customizer options. 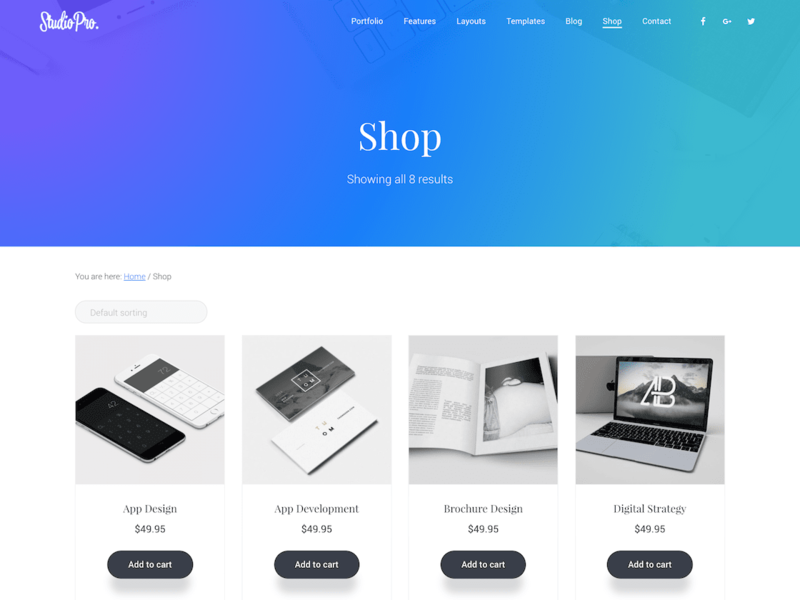 Easily create a filterable masonry portfolio, widgetized pages, lightbox galleries, a masonry blog or even a WooCommerce store. 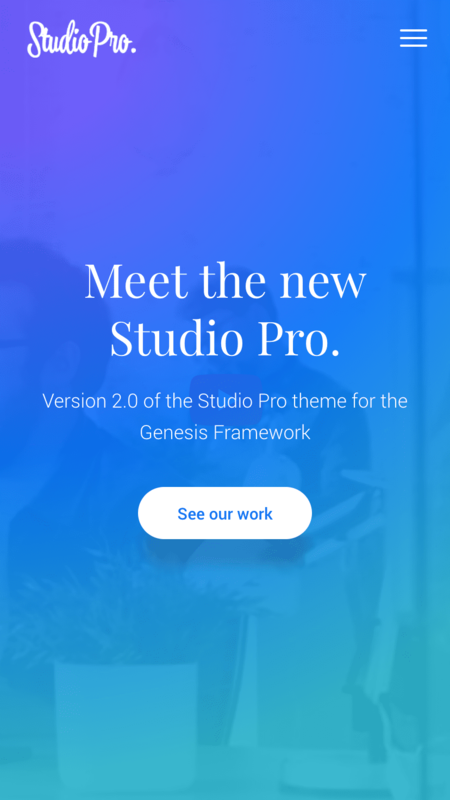 With all these features Studio Pro is still lightweight and optimized to the highest level. Customize the layout of your widgets columns with the built in flexible widget areas that adjust size automatically.